Originally formed to perform a specially commissioned suite to celebrate the life and story of St. Cuthbert, the Ushaw Ensemble is made up of the very best musicians from the North East. Fusing elements of folk, contemporary classical and jazz, the Ushaw Ensemble were chose to be JazzNorth Northern Line ambassador artists in 2017/2018. They performed across the North in this period and recorded their debut album, due for release in Spring 2019. As featured on BBC Radio 3 Jazz Lineup - Paul Edis (piano/clarinet) Rob Walker (drums) and Paul Susans (bass) AKA Triptych bring a diverse repertoire and extensive experience to create new interpretations of old standards alongside new compositions, often with a rhythmic twist involving metric modulations, irregular metres and longer forms compositions. ‘Brilliant young pianist' Paul Edis is joined by virtuosos Andy Champion (double bass) and Russ Morgan (drums) to perform swinging music rooted in the straight-ahead tradition. 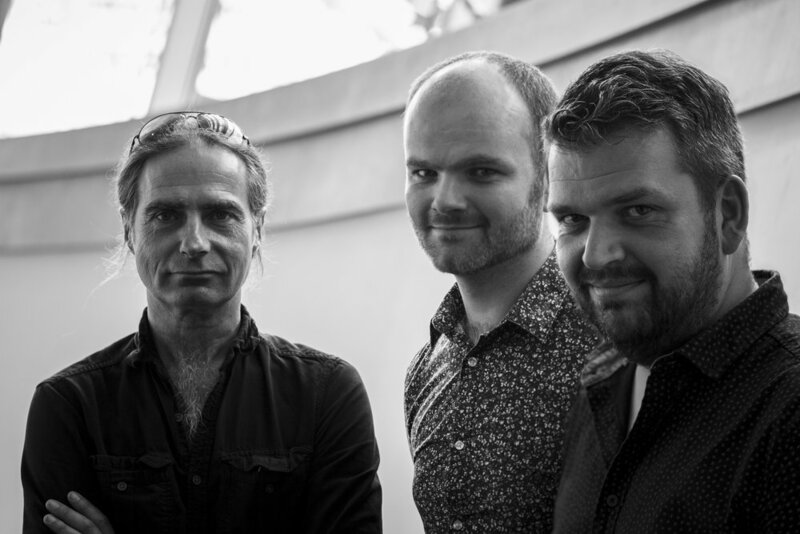 The first call rhythm section to work with touring soloists (including Vasilis Xenopoulos, Martin Speake, Alan Barnes, Bruce Adams) the trio explore their shared love of the jazz piano trio repertoire in their performances. Featuring new arrangements of festive favourites penned by Paul Edis and performed by some of the leading lights on the UK jazz scene. In the last two years this show sold out Sage 2. ‘Brilliant young pianist’ Paul Edis has released five recordings in recent years of his original music - with his sextet, with saxophonist Vasilis Xenopoulos, and in 2015 a double CD of his solo piano recordings Just Like Me/Not Like Me. His music has been played on the radio in the UK, Europe and US, and he has performed at leading venues and festivals across the UK and in Europe. His playing embraces the straight-ahead jazz tradition alongside the influences of folk, world and contemporary classical music.